Personal loans for people with bad credit are available from a number of different lenders although, because you have a poor credit history, you can expect to pay a higher rate of interest than what a high street bank would charge. 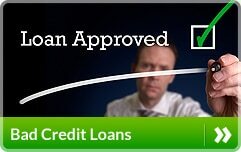 You may be able to apply online for bad credit personal loans and get a decision on the same day. 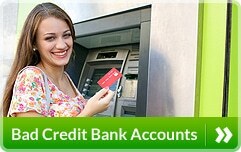 Who are personal loans for bad credit suitable for? The borrowing criteria is likely to vary between different lenders. For instance, one lender who will consider personal loans for some people with a poor credit rating, has a number of requirements including that you are between the age of 18 to 70, a UK resident, have a minimum net monthly income, have a UK current account and a debit card. Another lender may have a different set of lending criteria. You may be able to apply online and get a decision on the same day. Some lenders may wish to discuss your application on the phone going through things like your income and expenditure to establish if you can afford to borrow the money. The lender will need to confirm your identity and address. 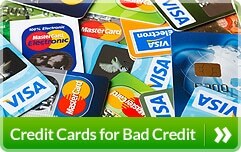 Is a credit check made on you? This may vary between lenders. However, just because you have a poor credit history does not mean to say that your application will be declined as there are some lenders that do provide finance for some people who have got into trouble with their debts in the past. How long can you borrow the money for? The term for an unsecured personal loan tends to be for between 1 to 5 years but please check with the lender you are considering applying to for a bad credit personal loan. This may vary between lenders. For instance, You may be able to borrow from a few hundred pounds to several thousand pounds. You can borrow the funds for a variety of purposes such as consolidating other debts, car purchase, a holiday or improvements to your property. What sort of interest rate will you pay? This is something else that may vary between different lenders. If you have a poor credit history then you can expect to pay a higher rate of interest than would normally be charged by a high street bank or building society who tend to provide finance for those people with a reasonable credit rating. Whether the personal loan is secured or unsecured may impact on the interest rate. When checking what the interest rate is, whether it is a fixed or variable interest rate and how much the repayments will be, do enquire if there are any fees involved. In conclusion, it is worth shopping around for bad credit personal loans as personal loans for people with bad credit are available from numerous lenders and you will want to obtain the best deal that you can find. You can normally expect to receive a quick decision and, if the personal loan is approved, the monies can often be paid into your bank account within a day or two. You may also require information about basic current accounts if you have a poor credit record and also credit cards for bad credit.